A couple of years ago, I undertook a postgraduate diploma in healthcare leadership, during which I met someone who introduced herself as ‘the twitter nurse’. She told me her name first of course (it was Teresa), but it was the ‘twitter nurse’ bit that got me interested. My initial reaction was somewhere between disbelief and amusement. I knew what twitter was about; funny cats, celebrities and, well, not much else. I also knew for certain, that twitter did not need a nurse! Out of curiosity I dusted off my twitter account that I had created and forgotten about, and looked up the community that Teresa was curating; @wenurses. What I found was a diverse, busy, and welcoming community of healthcare professionals. I soon found my way to the @physiotalk community and that was things really started to get interesting. It was like walking through the closet into Narnia, but instead of fantastical creatures, I found a whole host of enthusiastic and passionate therapists sharing resources, discussing the latest evidence, and challenging each other, all without any visible hierarchy. I was hooked. Using twitter openly as a healthcare professional is very different to using it on a personal level. 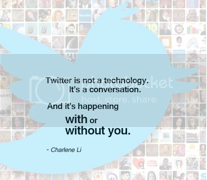 What you tweet is potentially visible to the world, so it is important to be mindful of what and how you tweet. 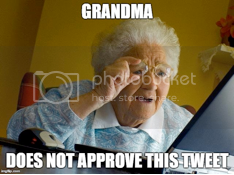 Helpfully, the HCPC and the CSP have produced guidance on using social media, but generally a good rule of thumb is; would your mum/dad/grandparents approve of this tweet? That being said, in relation to the number of healthcare professionals on twitter, there are few incidents of people getting into trouble. Ultimately, if you tweet responsibly then twitter’s treasures are yours for the taking. And what treasures they are…. Twitter gives you access to more like-minded people than you could possibly ever meet in person, all via your own phone/tablet/computer. And they are all there waiting to be interacted with… this is social media after all. By being out there and being active on twitter, you will start to build a reputation and with that reputation you will start to attract new contacts who will, in turn, present you with new experiences and opportunities. For example, you might discover other therapists in the same field as you with whom you start working to raise of the profile of your speciality. 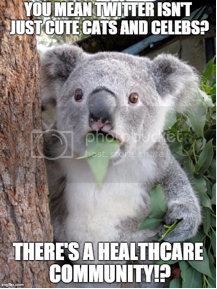 Or you might find yourself getting offers of a phone call and career advice from very senior healthcare leaders. You may even get a new job out of it! Your growing network doesn’t just have the potential to create new opportunities for you. If you follow and interact with a range of individuals (and avoid confirmation bias), you will find your professional horizons broadened beyond measure. I’ve learnt more about musculoskeletal physiotherapy in the past year than I have in the preceding nine years since I qualified, including that I was taught lots of myths at University! I’ve also learnt more about healthcare policy, education and governance than I could have ever done were I not on twitter. This is because twitter gives you ringside seat for the conversations being held between the key organisations and the experts in their field. But it doesn’t stop there, because if you want to, twitter gives you the opportunity to climb into the ring and become part of that conversation yourself. And in getting involved in these conversations, twitter has enabled me to develop my confidence and my own identity as a healthcare professional, and particularly as a physiotherapist. I’ve been able to develop clearer ideas as to what I care about and where my passions lie. I’ve also started to learn how to debate professionally but effectively and with awareness of my own bias. But that is not where the learning stops on twitter… oh no. 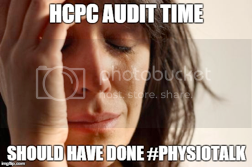 Twitter is almost perfectly designed as a CPD tool – something that is particularly useful if you’ve been called for audit by the HCPC! The most obvious CPD opportunities on twitter come via the many ‘tweetchats’ that are hosted by different communities. These chats bring people together over twitter to facilitate a focused and timely discussion of a given topic and usually result in a transcript which makes a great basis for portfolio evidence. The other obvious use for twitter when it comes to CPD is staying up-to-date with the latest studies and evidence. The quantity of healthcare journals and the rate at which new papers are published can be overwhelming. Where twitter can help is in filtering this deluge of new information so that the more interesting or powerful papers find their way to you. But not only that, twitter allows you to engage in real time discussion over the paper (sometimes with the author!) and twitter based journal clubs are becoming more and more popular. These are just some of the reasons I love twitter. Already in the two years I have been active as a physiotherapist on twitter, I have a lot to owe to the platform and the people I have ‘met’. I would really encourage anyone who is not yet on twitter to sign up and dip your toe in, and if you are on twitter but tend to watch the twittershere go round, then why don’t you dive on in? There are plenty of us here to help you swim. Ema Swingwood @emaroids1 @_JoeMiddleton I use Twitter because I can engage effectively with AHP's and beyond, and constantly learn (if you follow the right people)! Shona Pryde @sjpryde @_JoeMiddleton @physiotalk engaging with like-minded healthcare professionals reminds me why I love my job and what a difference I can make. Liz Langdon @langdoliz @_JoeMiddleton @physiotalk I use Twitter to read good articles other people have found! Ella J @aPhysioEJ @_JoeMiddleton @physiotalk I can speak to those who inspire me and get career advice. Also find out about local events and current practice.